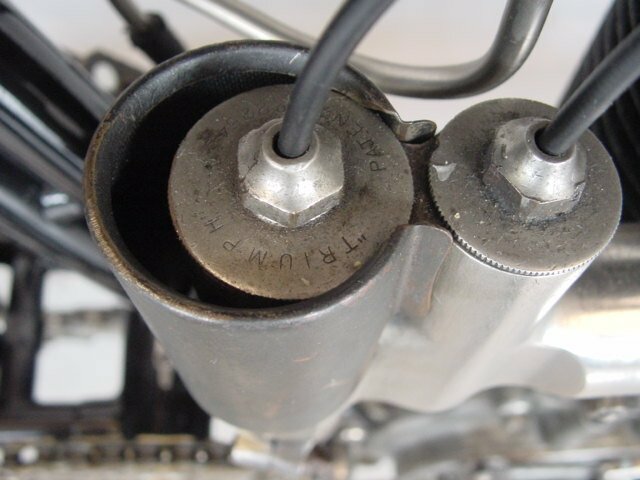 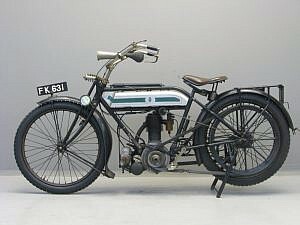 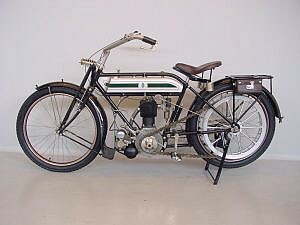 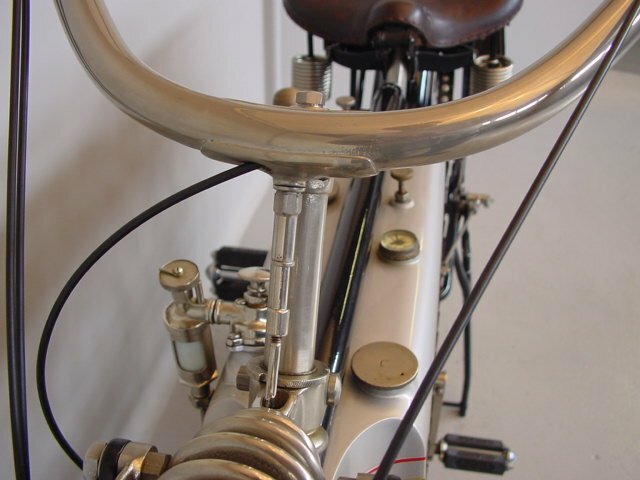 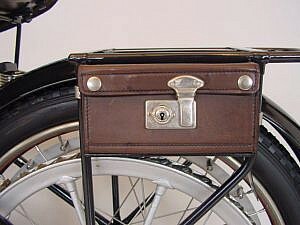 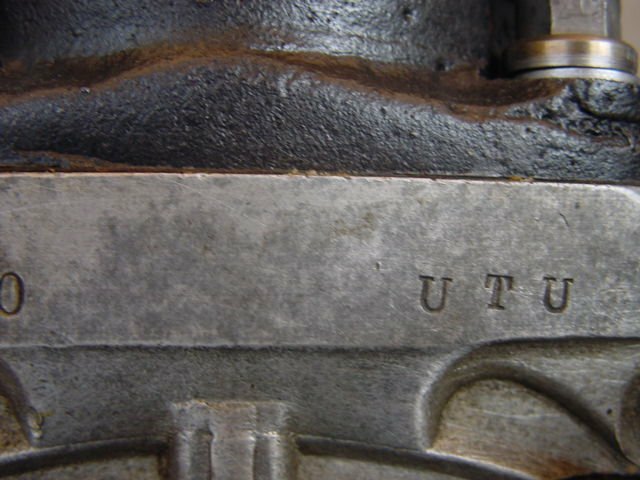 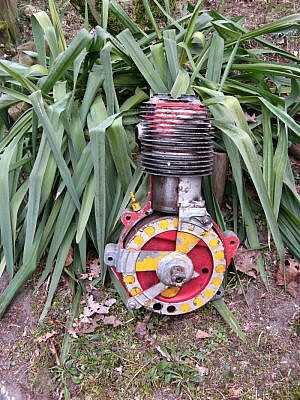 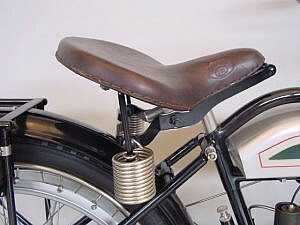 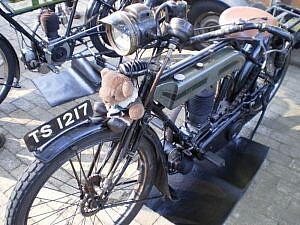 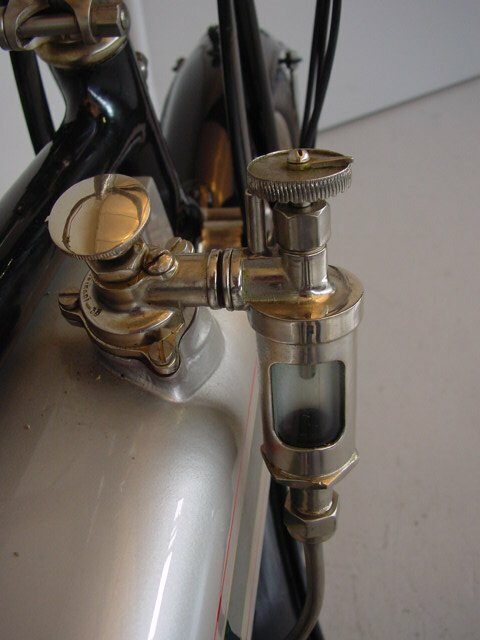 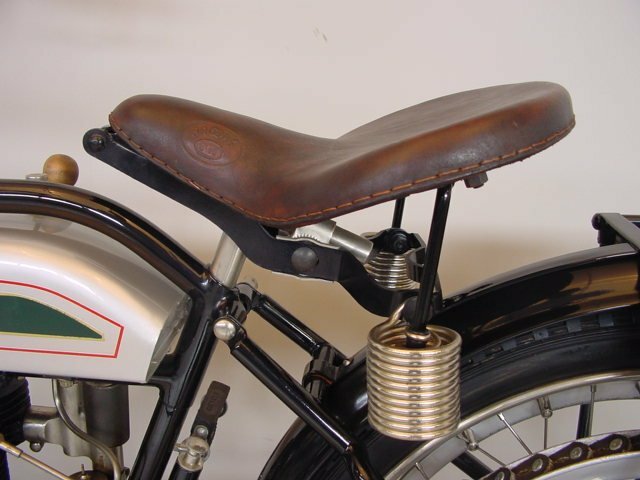 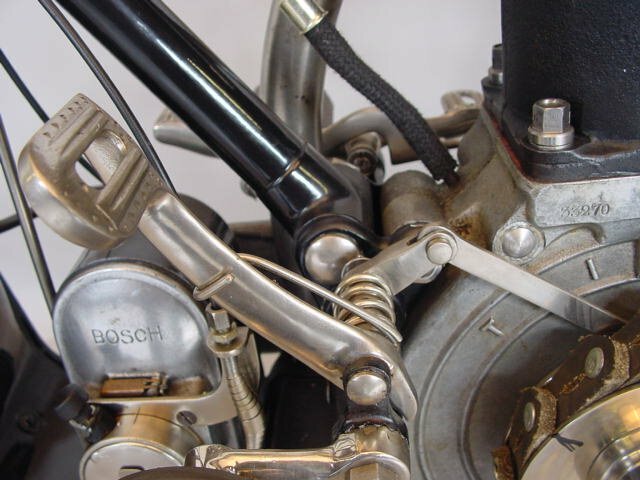 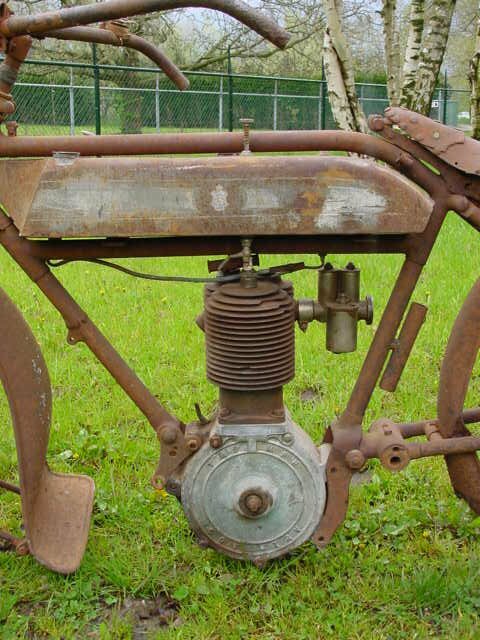 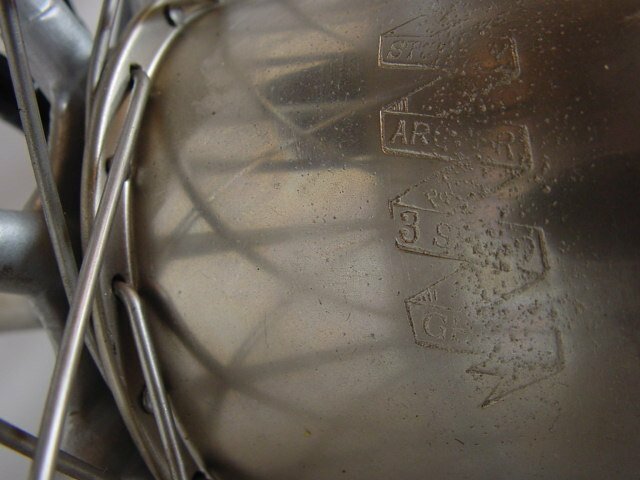 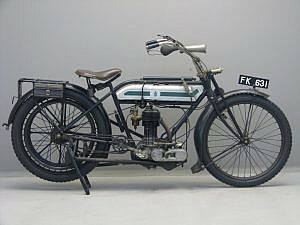 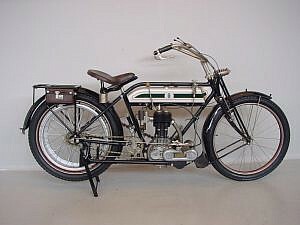 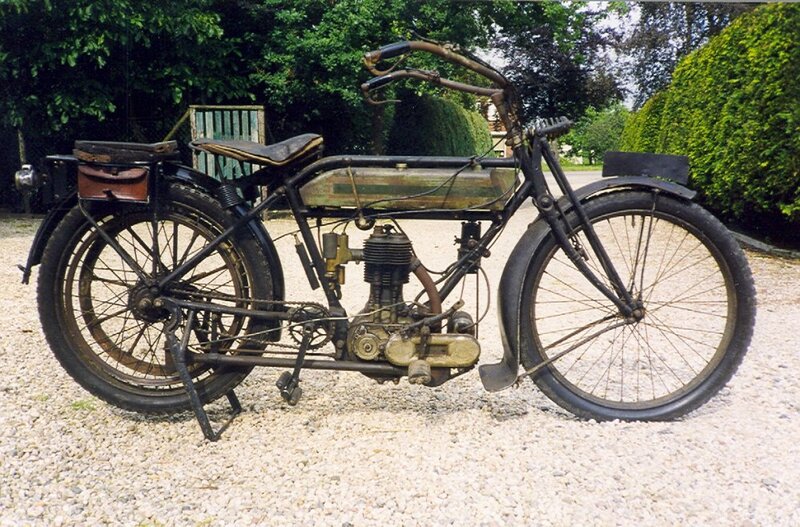 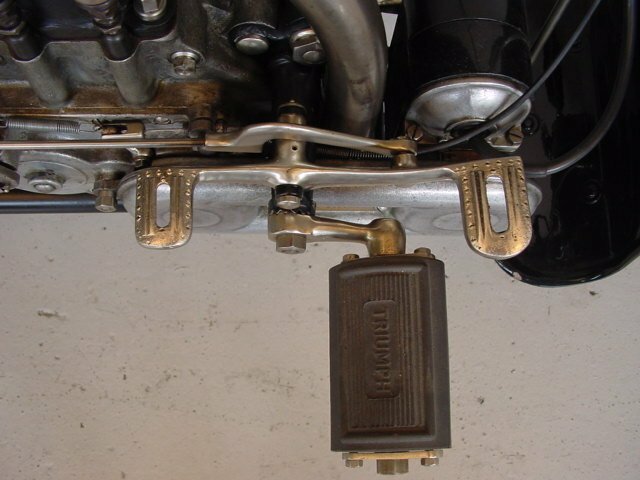 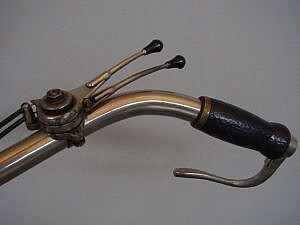 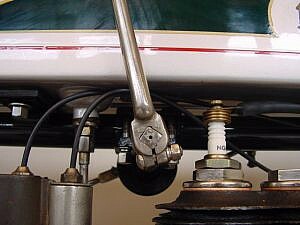 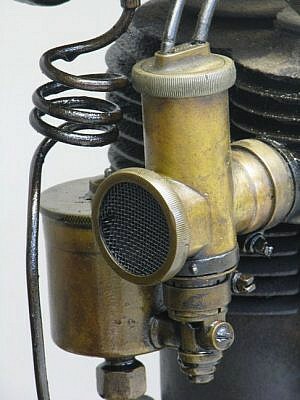 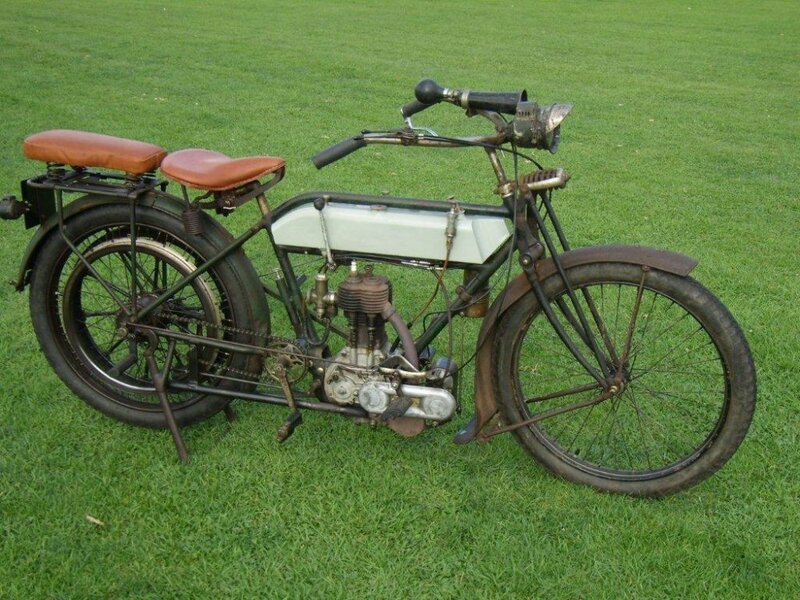 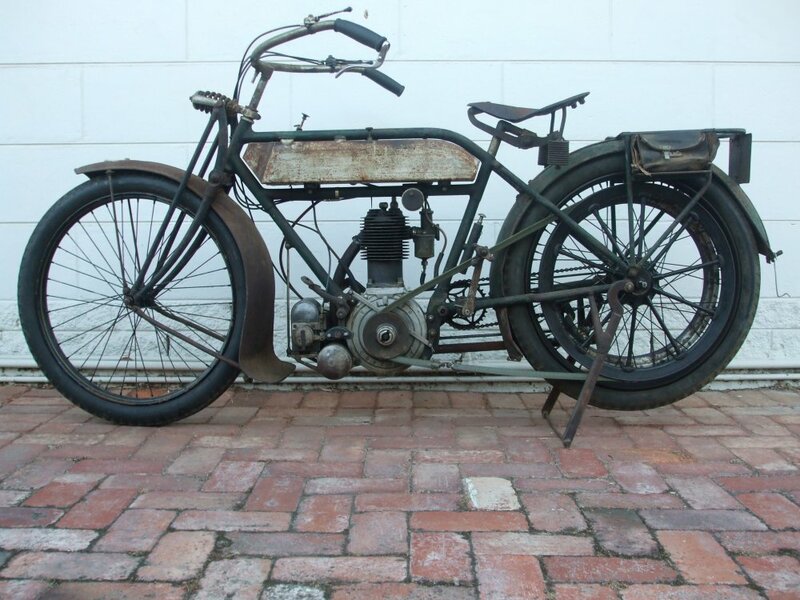 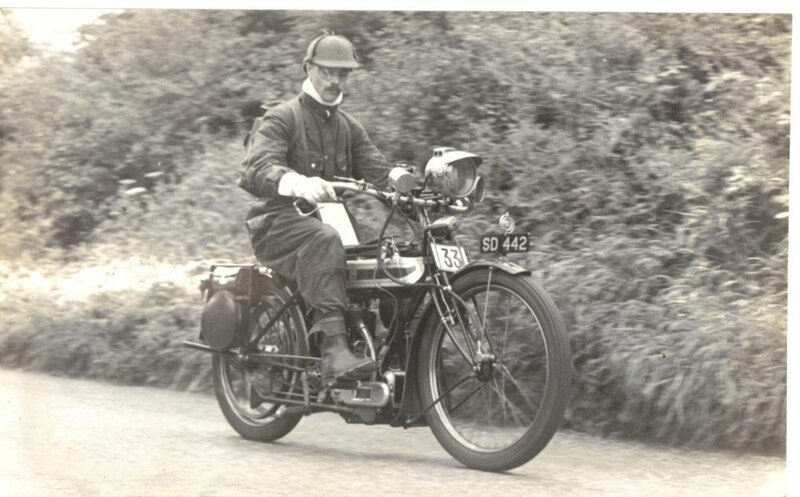 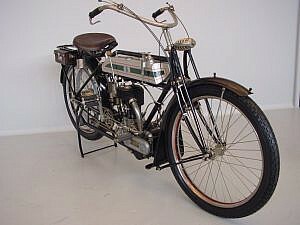 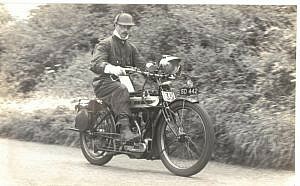 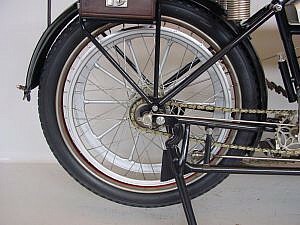 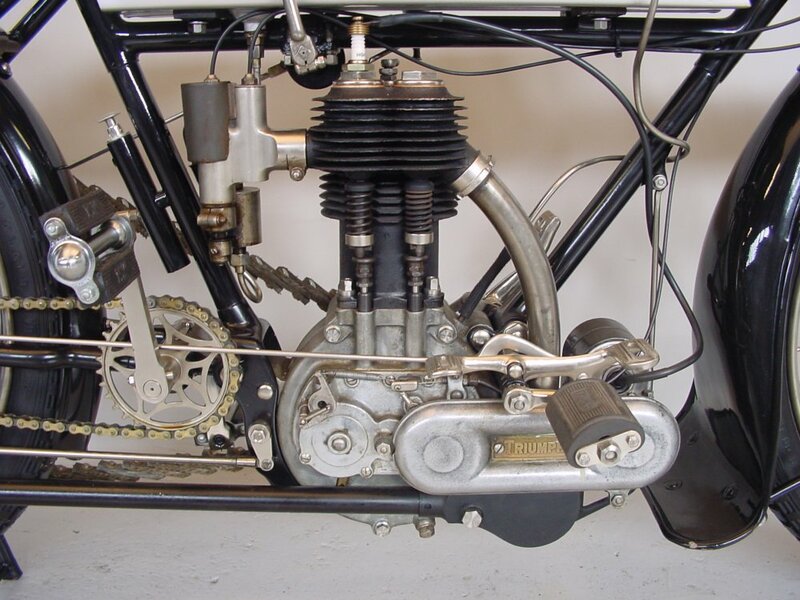 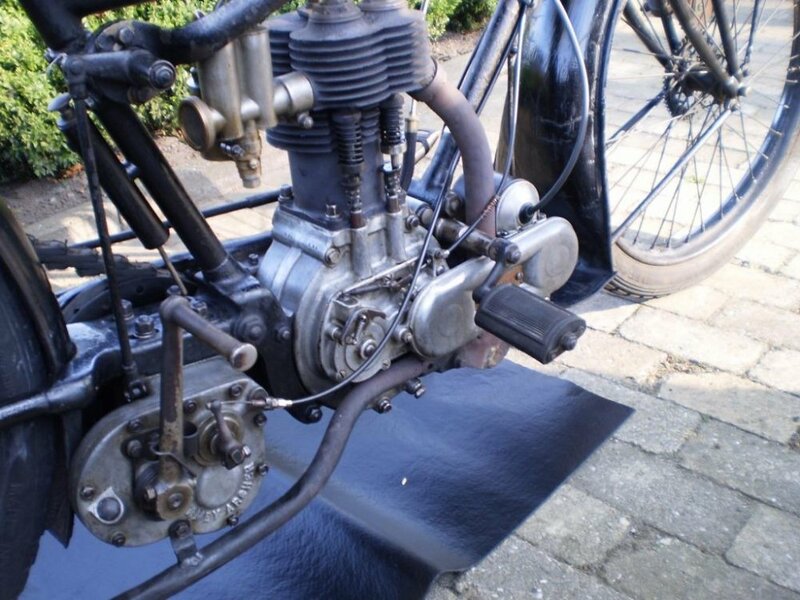 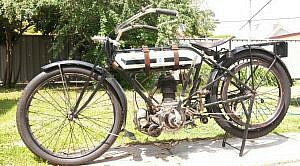 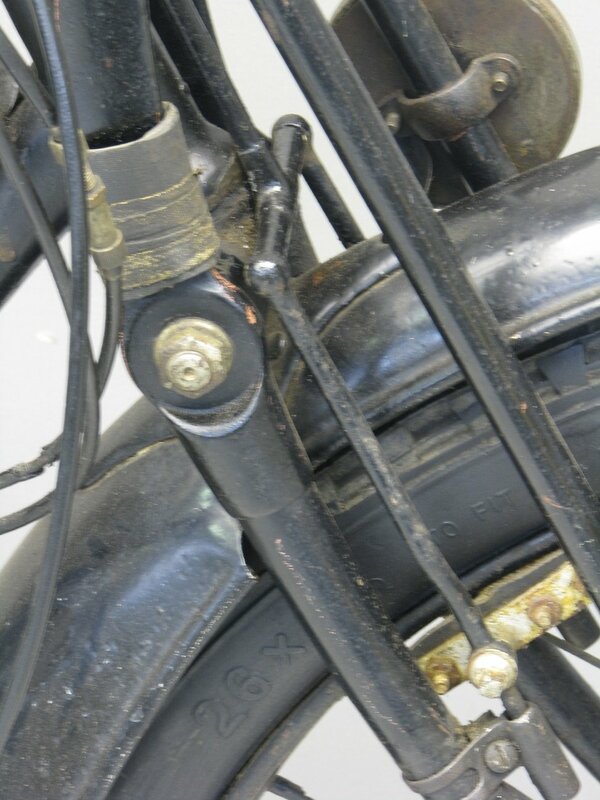 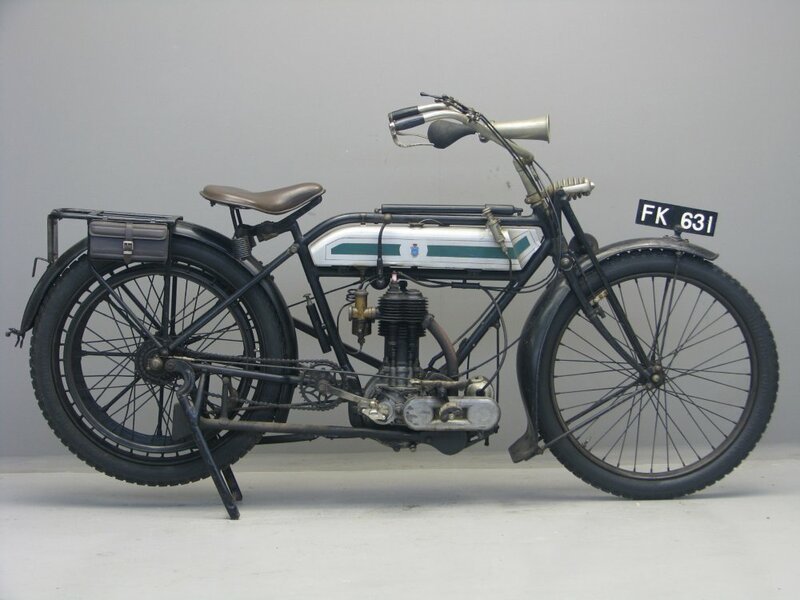 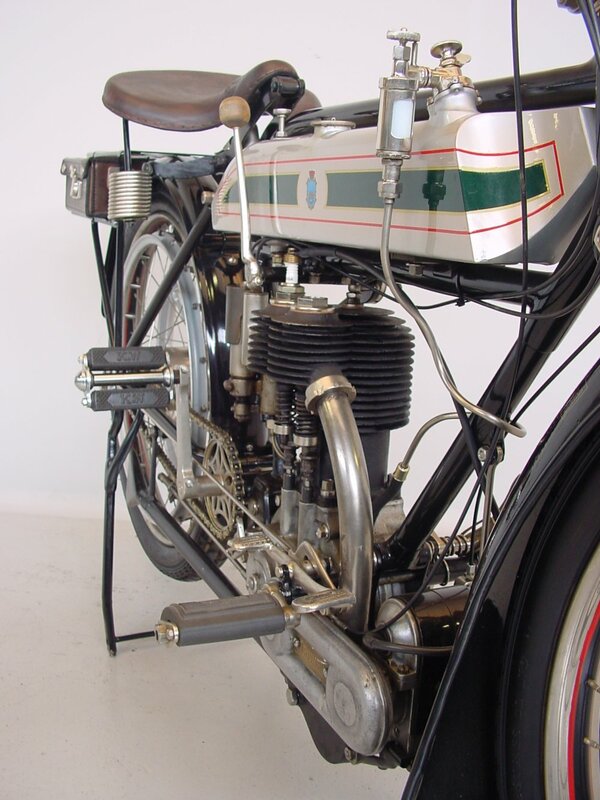 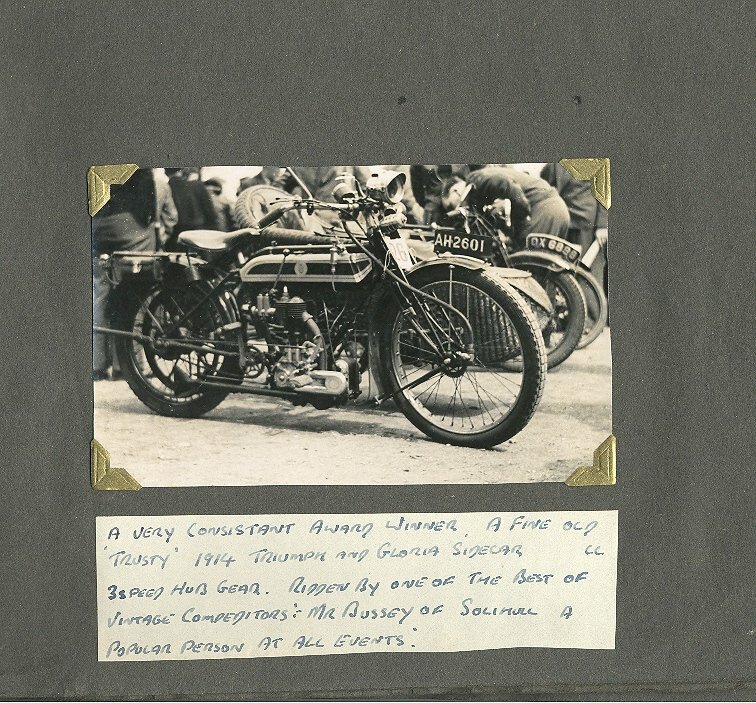 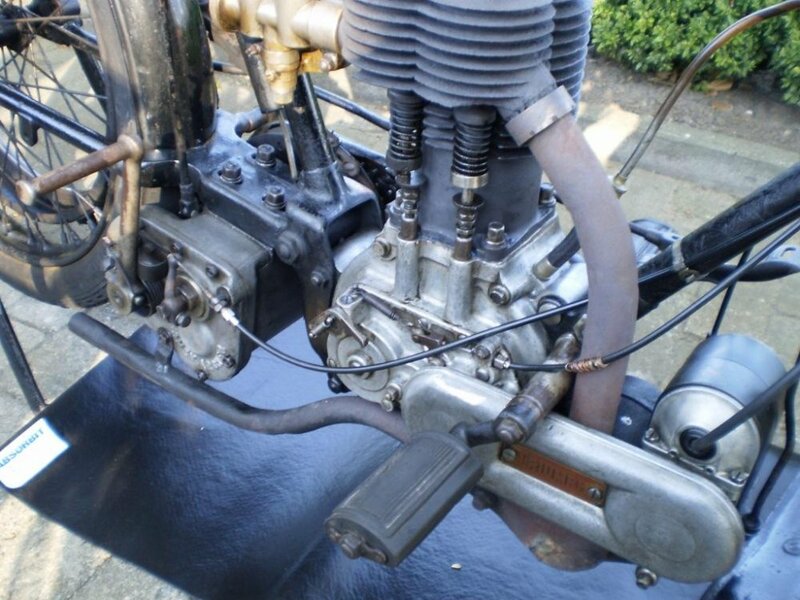 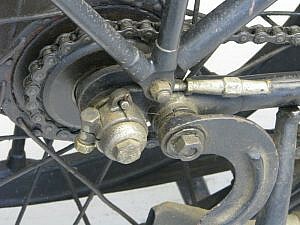 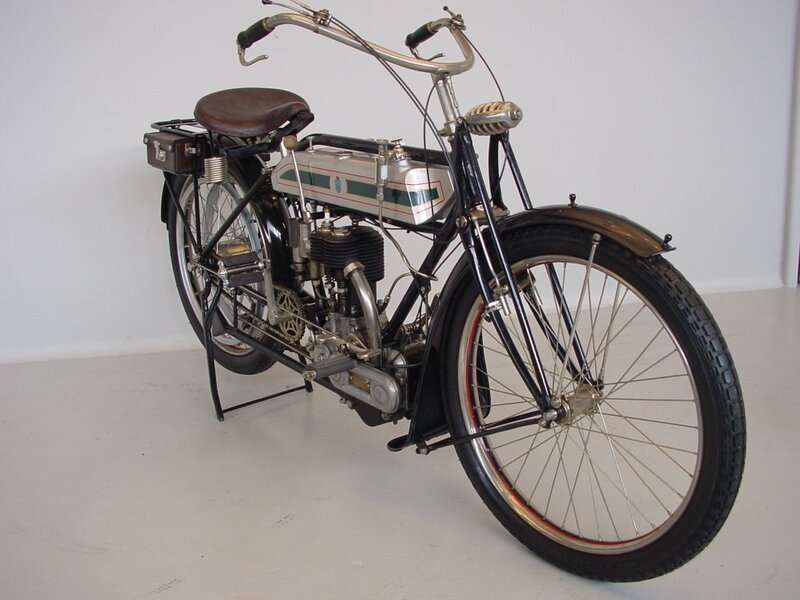 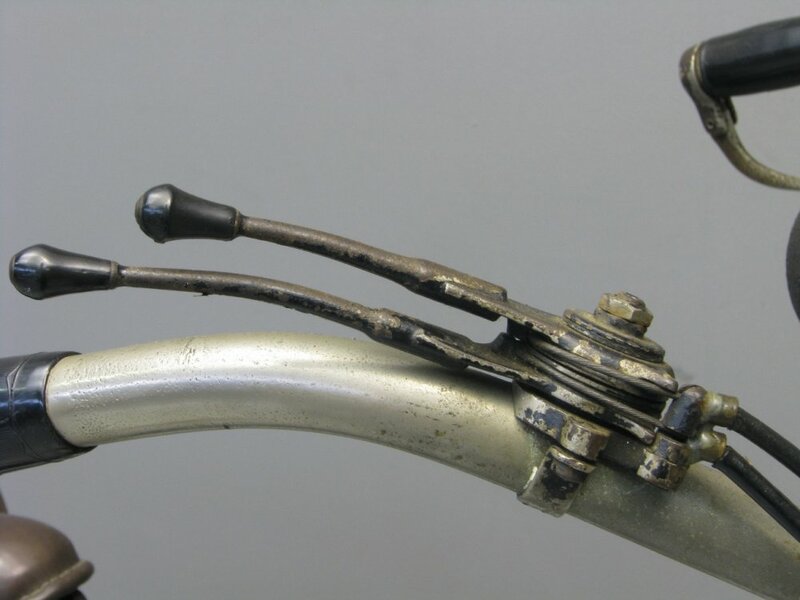 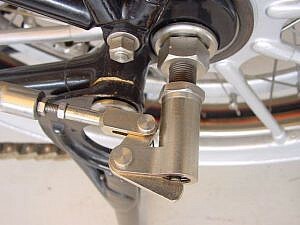 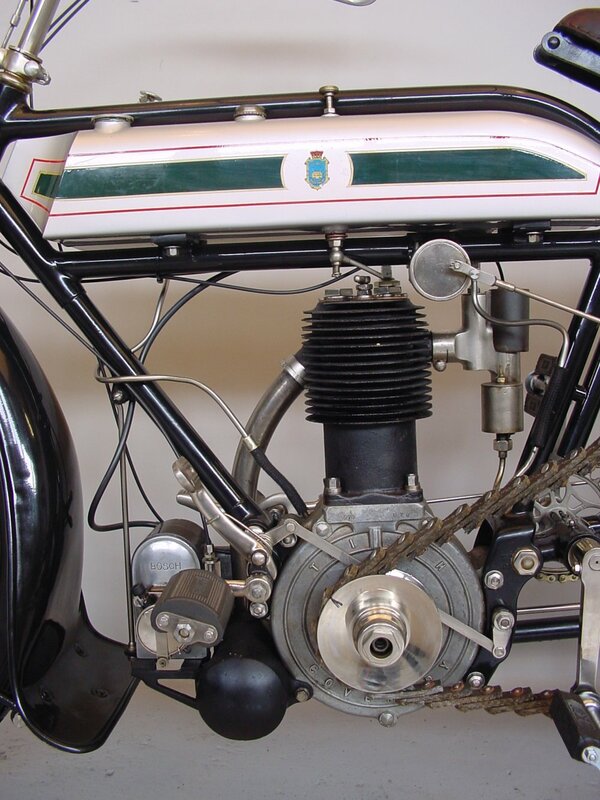 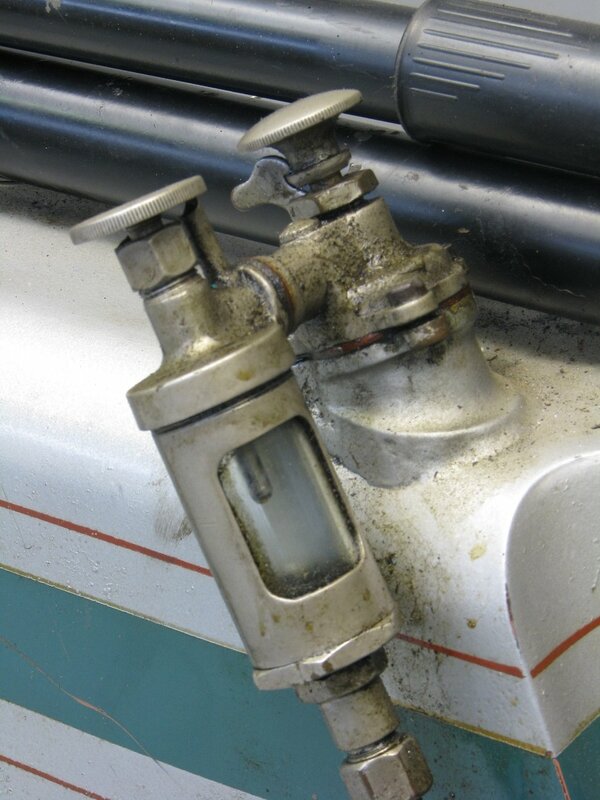 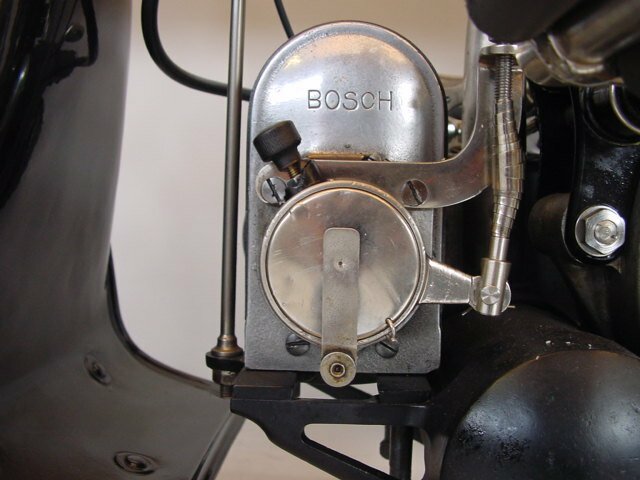 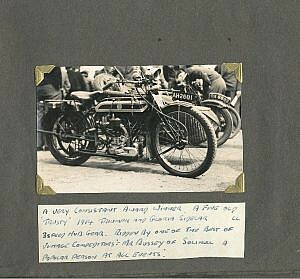 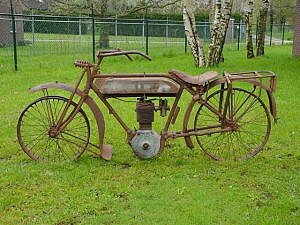 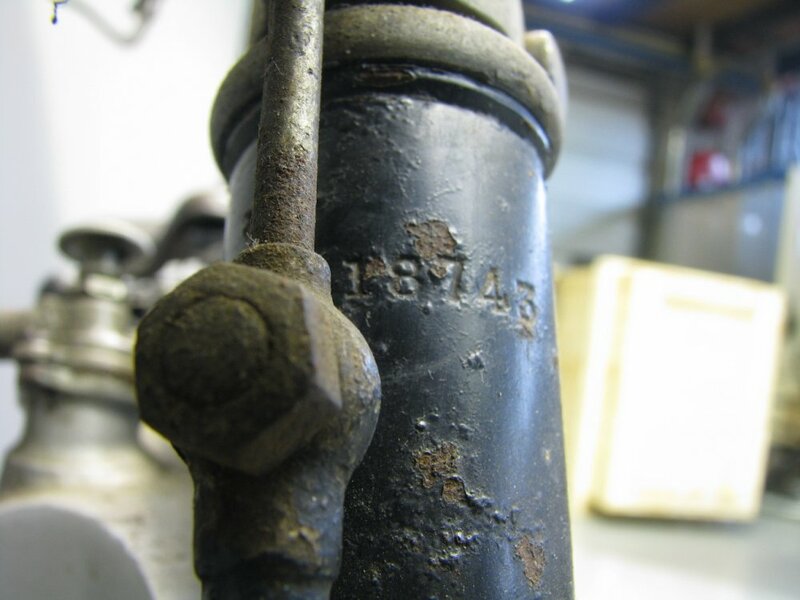 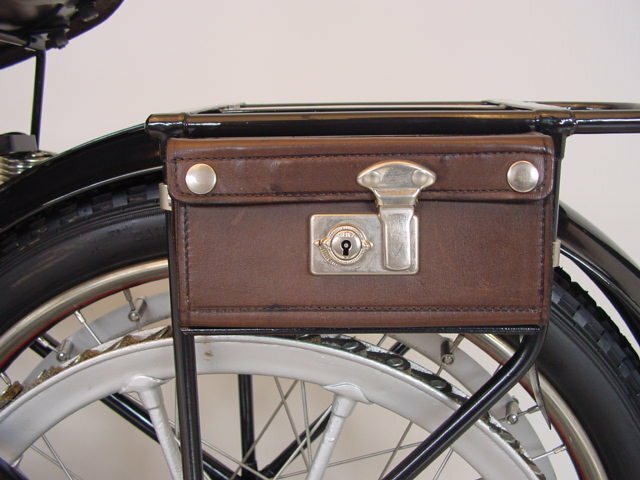 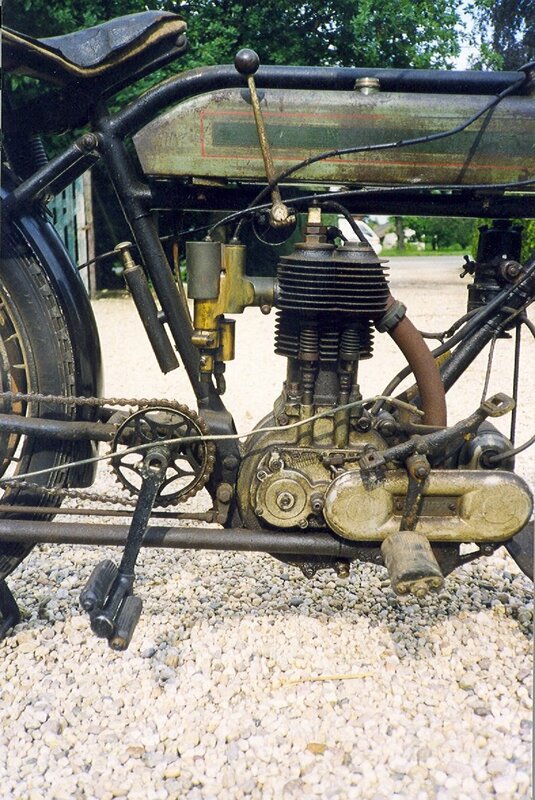 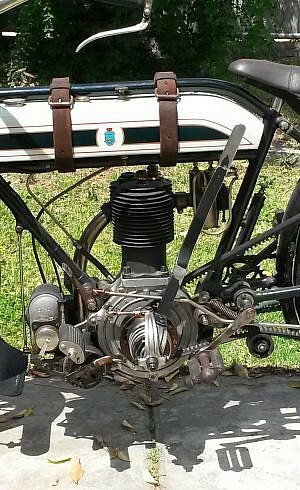 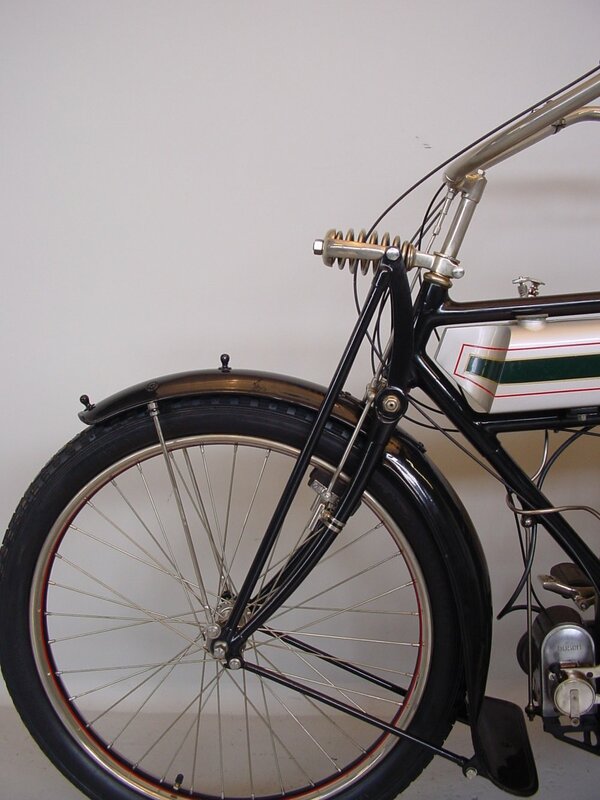 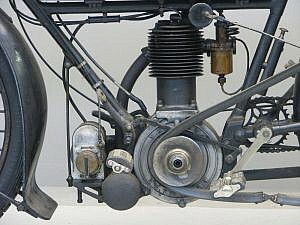 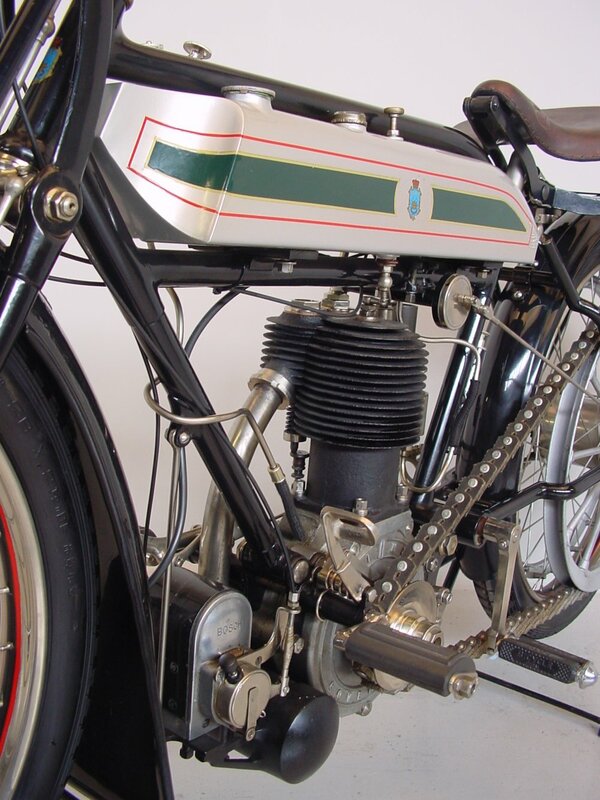 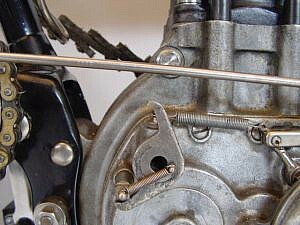 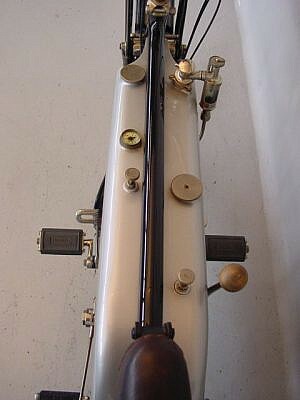 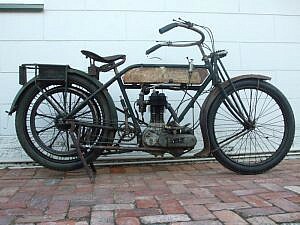 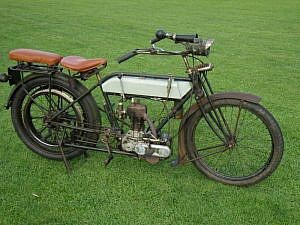 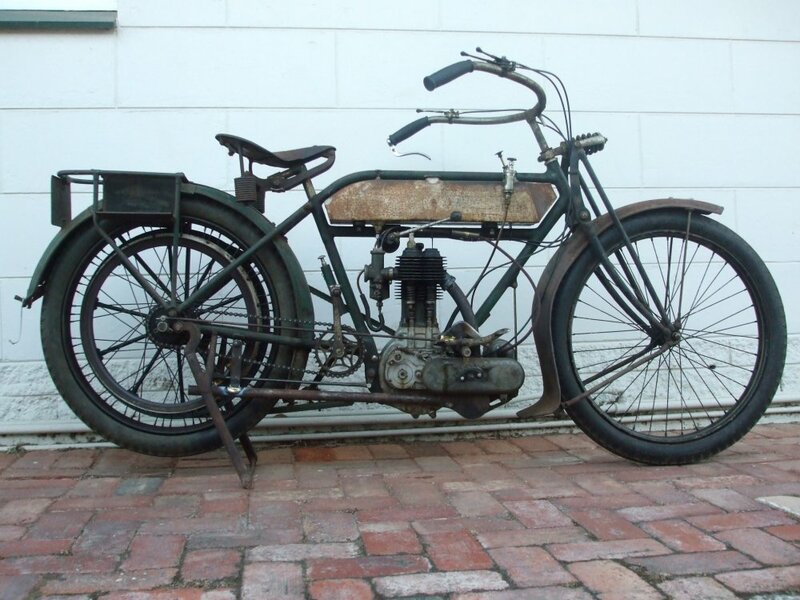 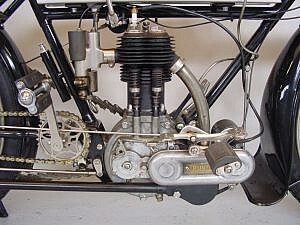 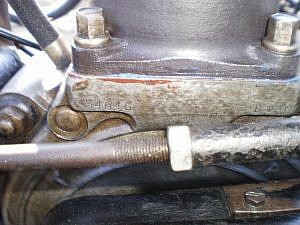 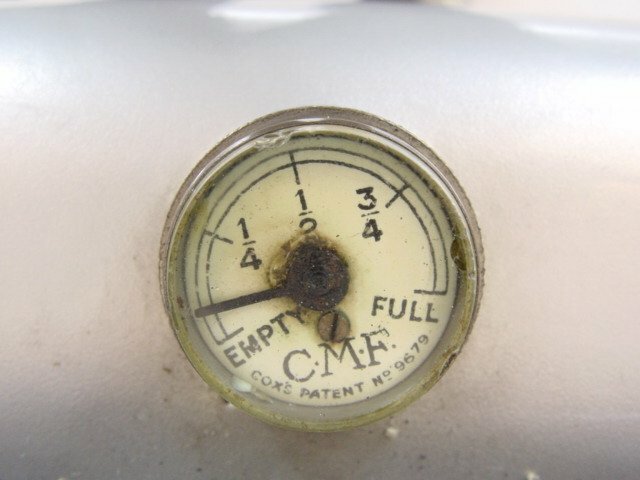 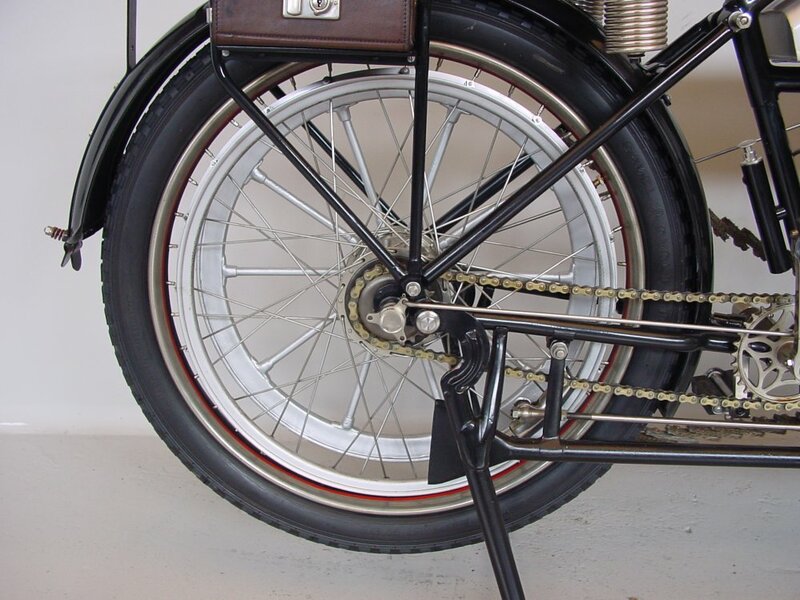 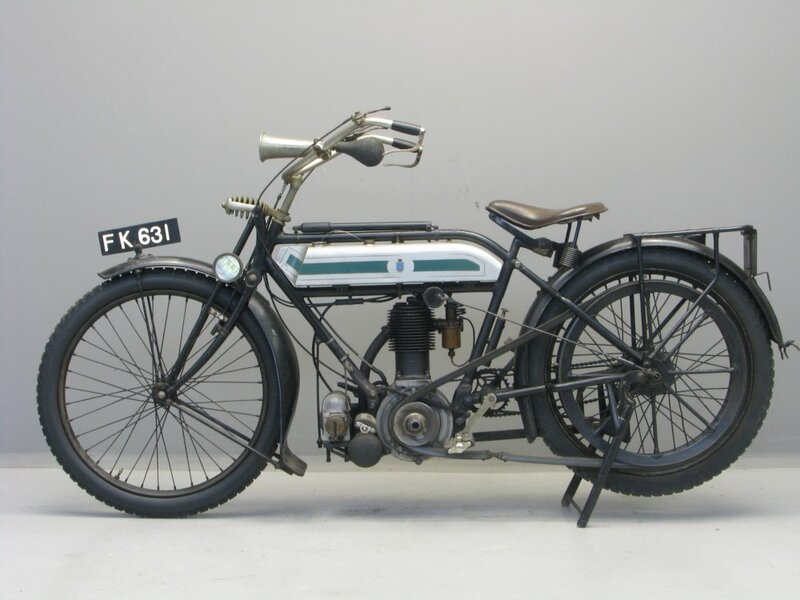 Brown & Barlow carburettor was fitted to a number of 1914 machines. 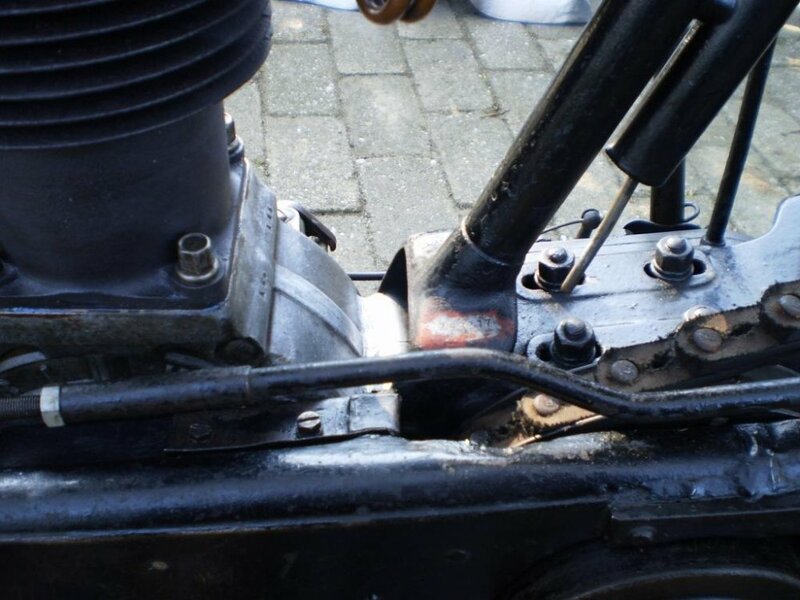 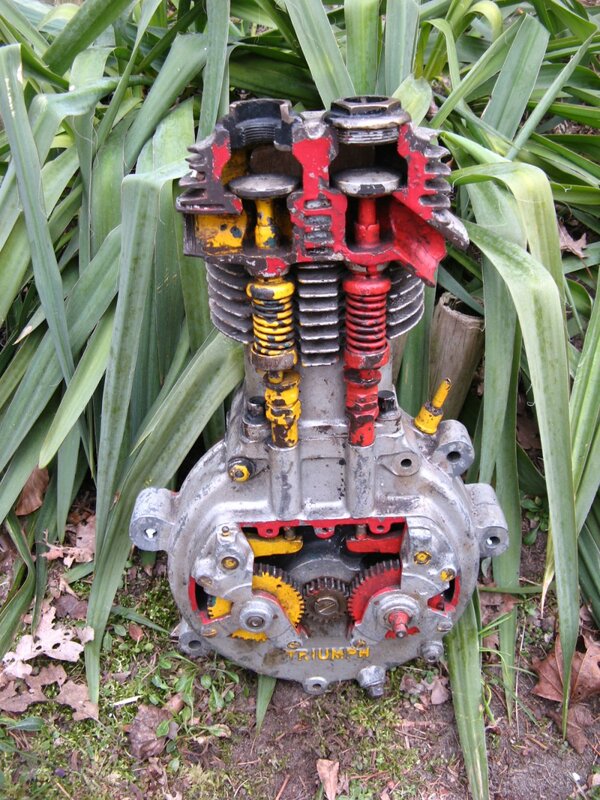 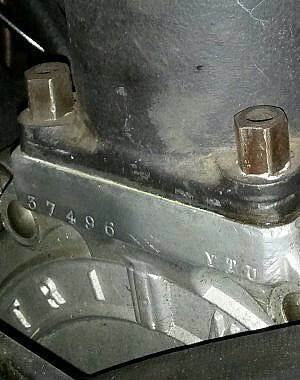 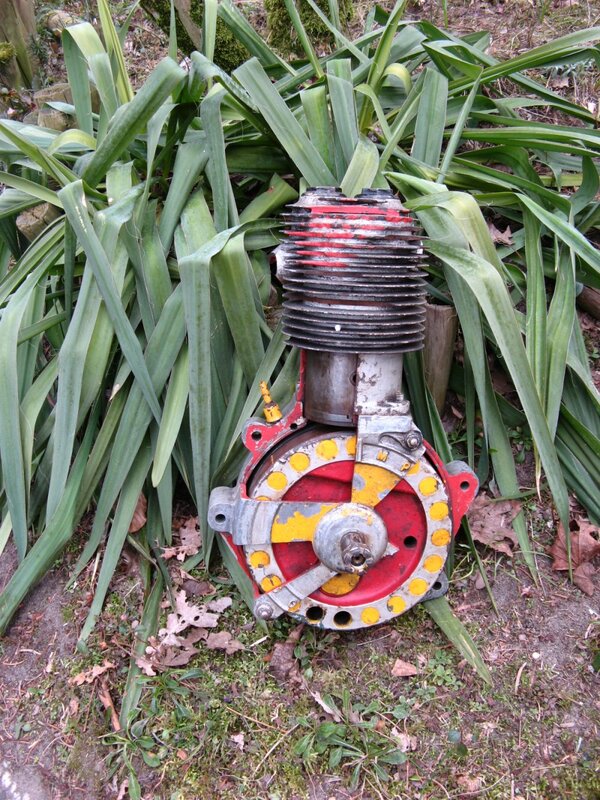 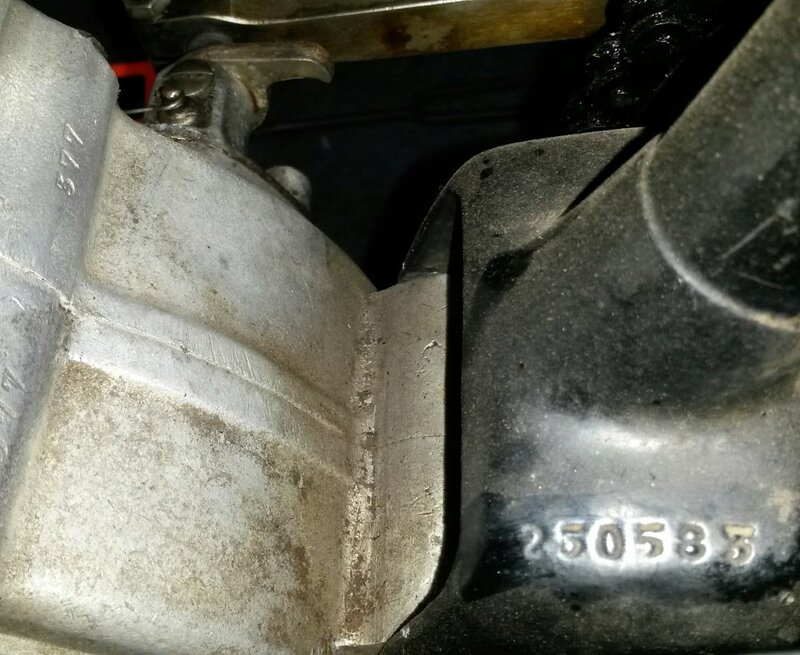 Frame #253217 engine # 34646 1914 model with 3 speed S.A. countershaft gearbox conversion. 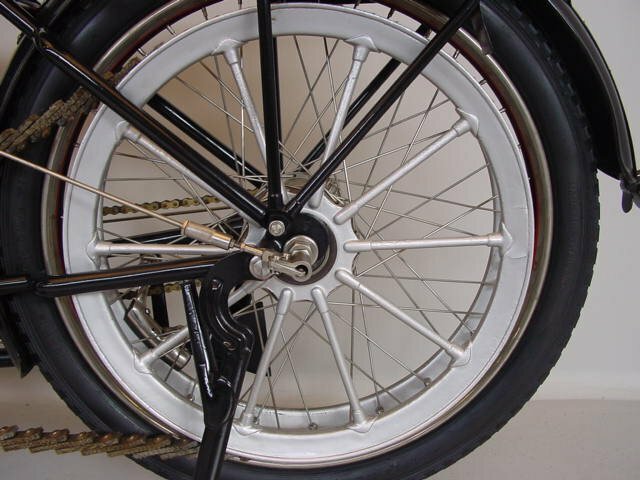 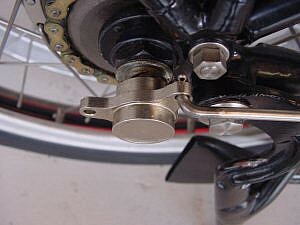 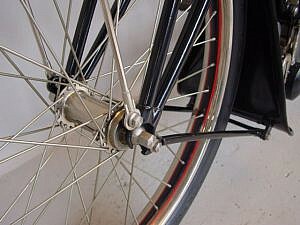 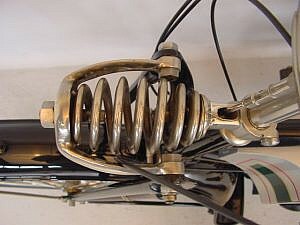 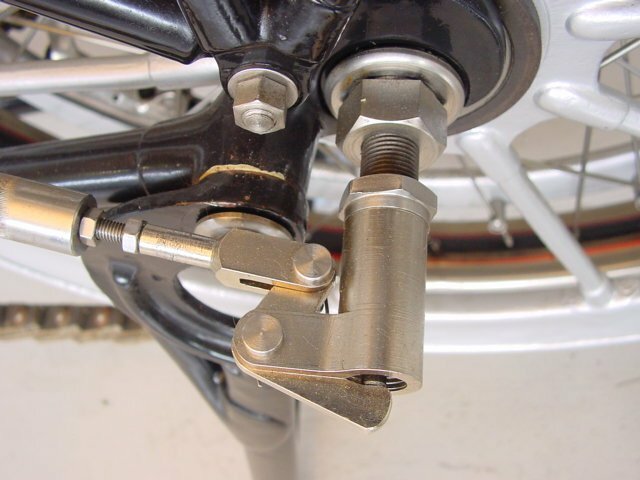 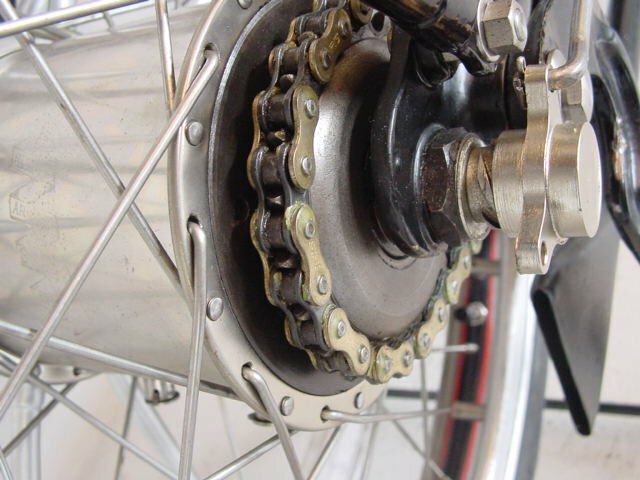 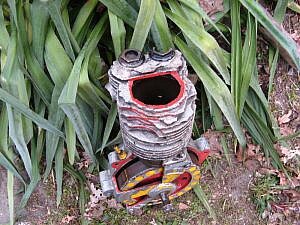 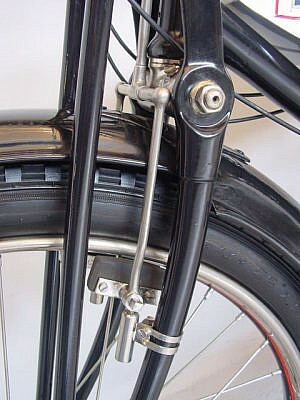 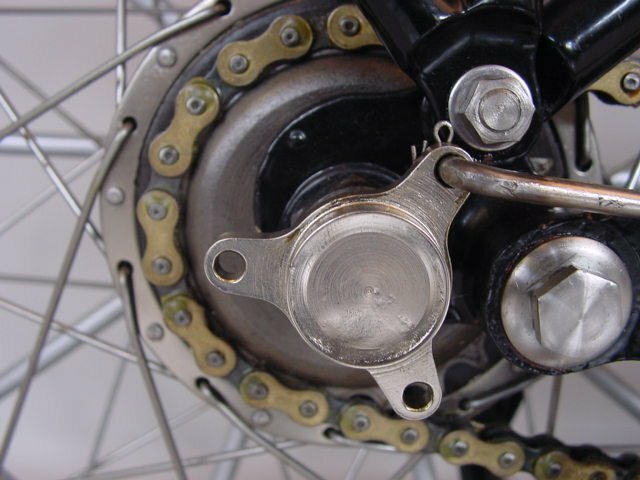 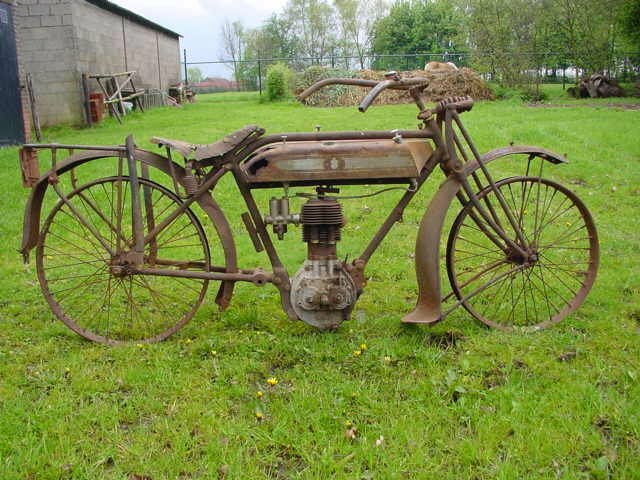 See "accessories and conversions, countershaft gears". 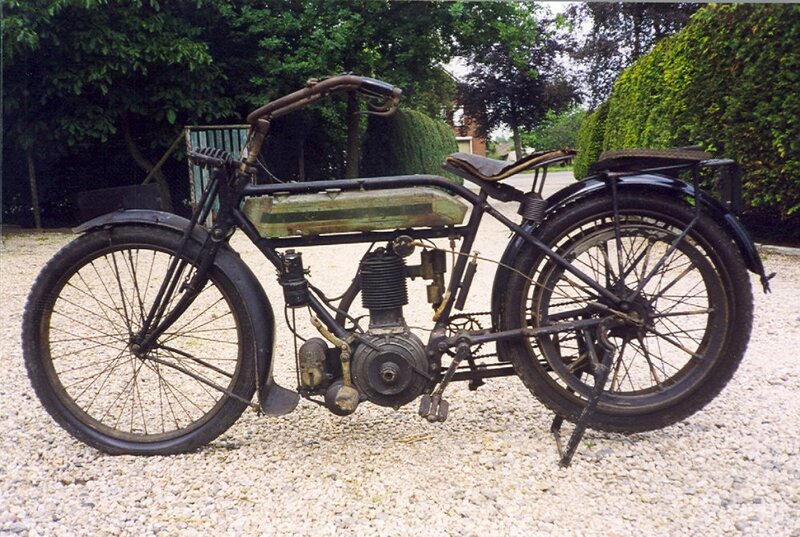 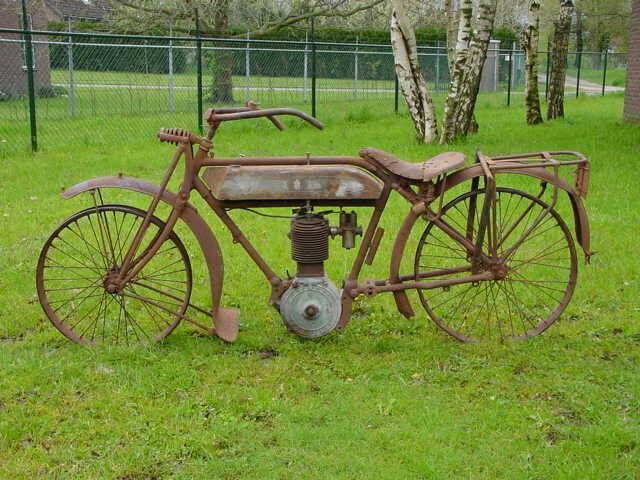 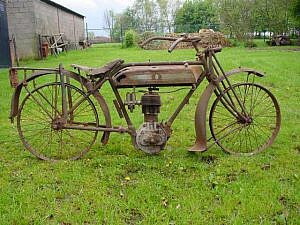 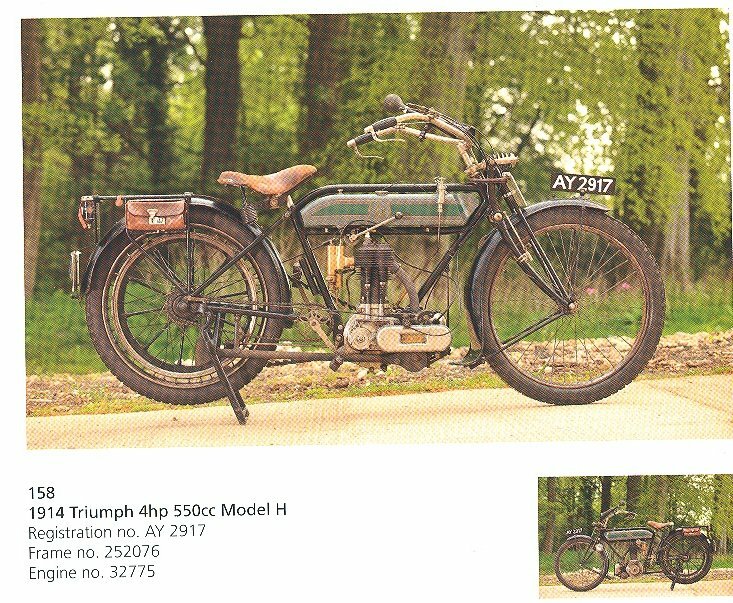 Here's Peter's 1914 model as it is in February 2013, "running fine, mostly 2-up". 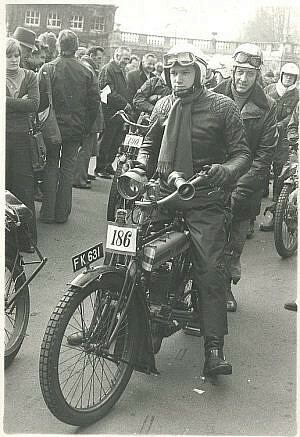 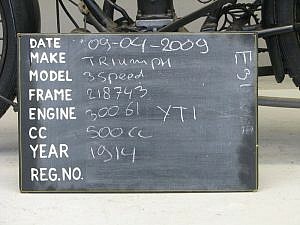 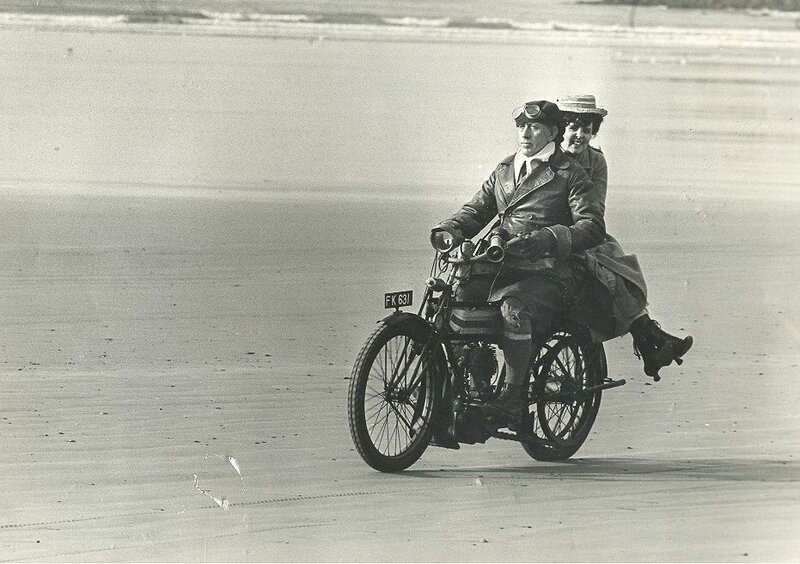 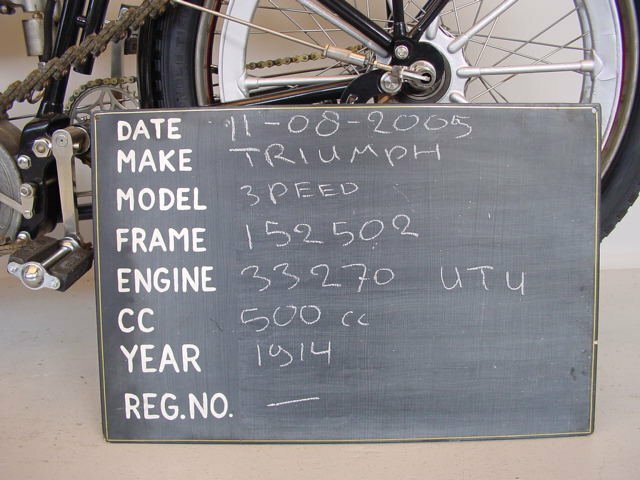 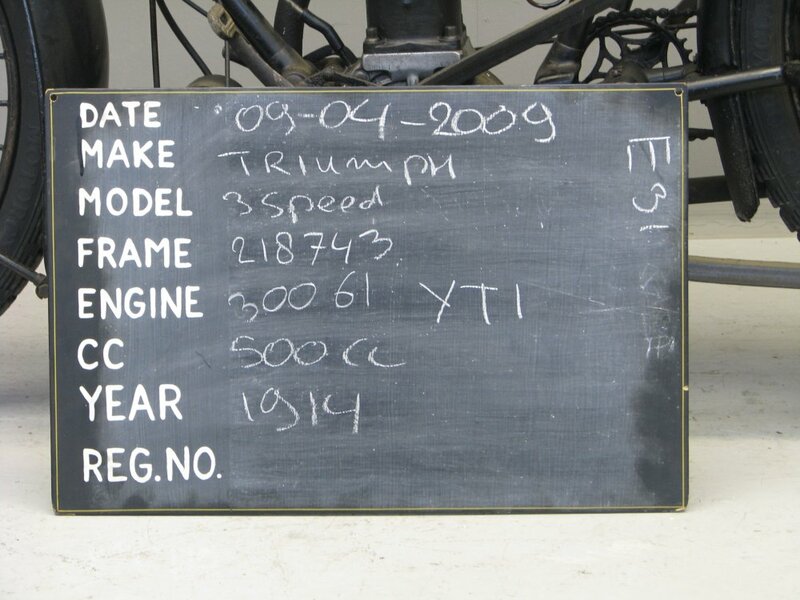 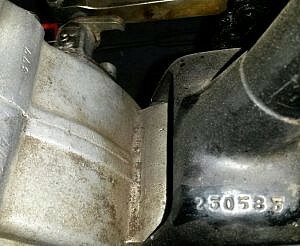 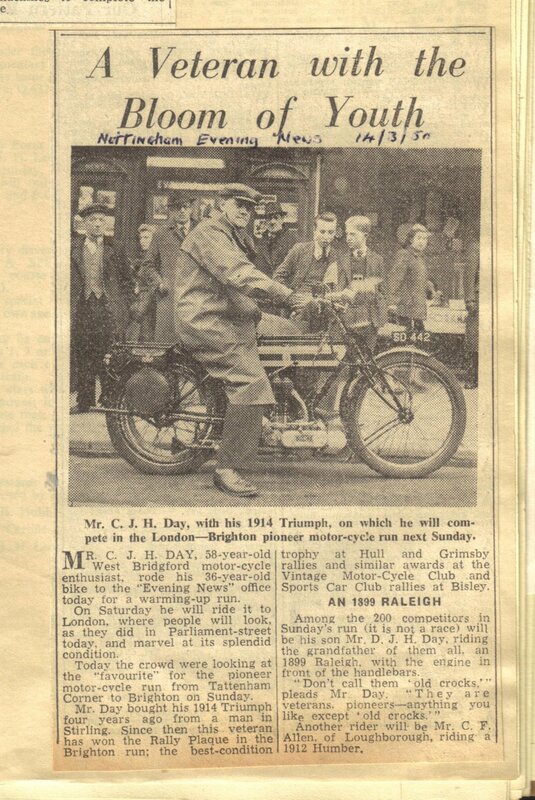 See also Happy Triumph Owners page.